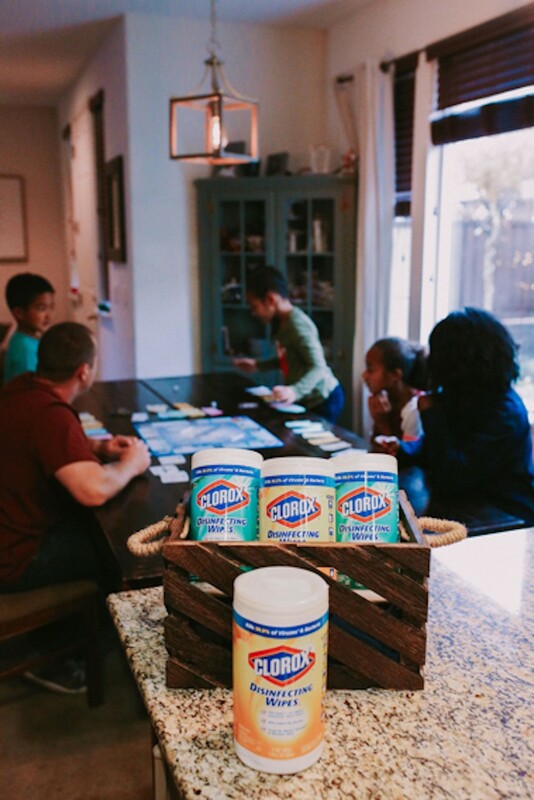 Bloggers get their homes prepared to defeat the cold & flu season with Clorox & Pine-Sol. 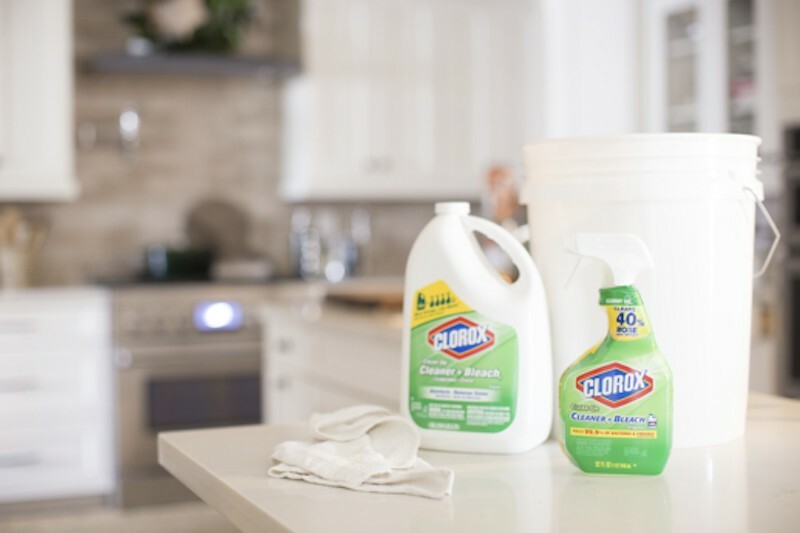 See what they had to say about how Clorox is being used at their homes this season, and how you can do it too! It is essential for us to make sure our families stay germ-free while we get out of the home, especially throughout the cold & flu seasons. Serena Appiah from Thift Diving shows exactly how one can stay cautious with a Clorox survival kit on the go. With the help of Clorox Disinfecting Wipes and Clorox Clean-Up, one is sure to be germ-free this winter. Check out how to create this great gift here on her blog! For Katie Crenshaw of Typical Katie, once the holidays are over, and decorations are set aside, it is time for the home to get a deep clean. Clorox comes to the rescue to help Katie effectively clean the house with the Pine-Sol 144 oz. Original Multi-Surface Cleaner and the Clorox Regular Concentrated Liquid Bleach. Read more about her tips and tricks for cleaning for the New Year on her blog here. Destiny Alfonso from Just Destiny Mag understands how stressful it can get when the cold and flu season starts to roll around following the holidays. As a result, she prefers to proactively disinfect her home with the help of Clorox Disinfecting Wipes and Clorox All-Purpose Cleaner with Bleach Spray. Read the rest of her blog post to take a look at how she is able to keep her family germ-free throughout the cold & flu season. 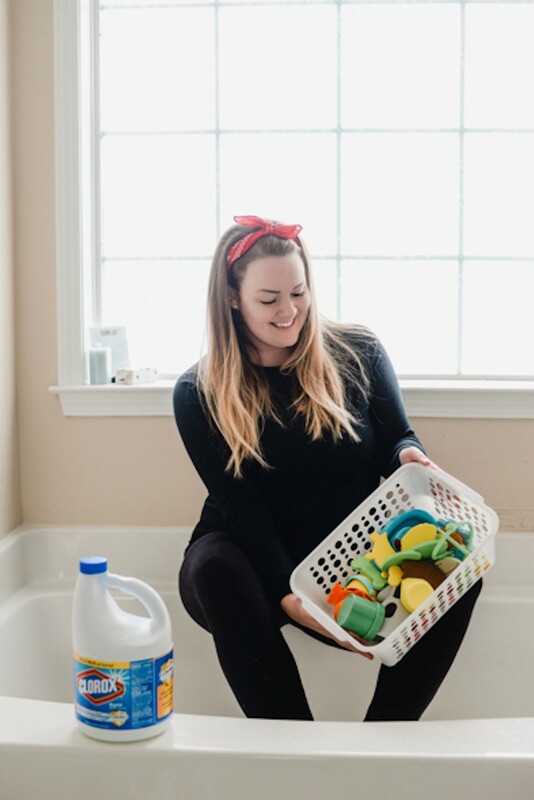 Joni Lay from Lay Baby Lay loves using Clorox disinfecting products such as the Clorox Regular Concentrated Liquid Bleach around the house to keep her home germ-free. 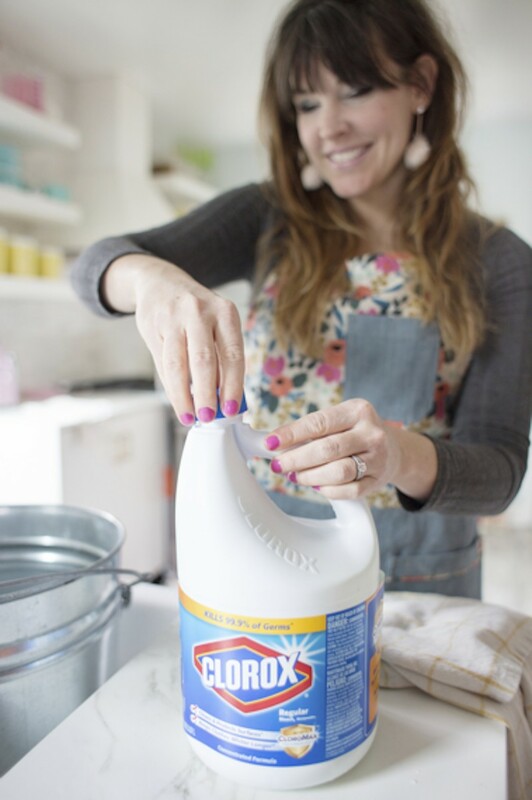 While it can get a little bit tricky with kids around the house, Joni knows how to make cleaning and disinfecting a fun little chore for all to stay healthy and happy this cold & flu season. Read more on how she does it here on her blog. With the oh-so-dreaded cold and flu season here amongst us, Ruthie Ridley from the Ruthie Ridley Blog walks us through how the Clorox Fresh Scent and Citrus Blend Disinfecting Wipes have helped prevent illnesses and reduce allergens around her home. Check out Ruthie’s post to see how she turns cleaning in the New Year into a fun activity with the whole family. Cleaning can be a really fun family activity, and Natalie Dalpias from The Creative Mom shows us exactly how that is done! 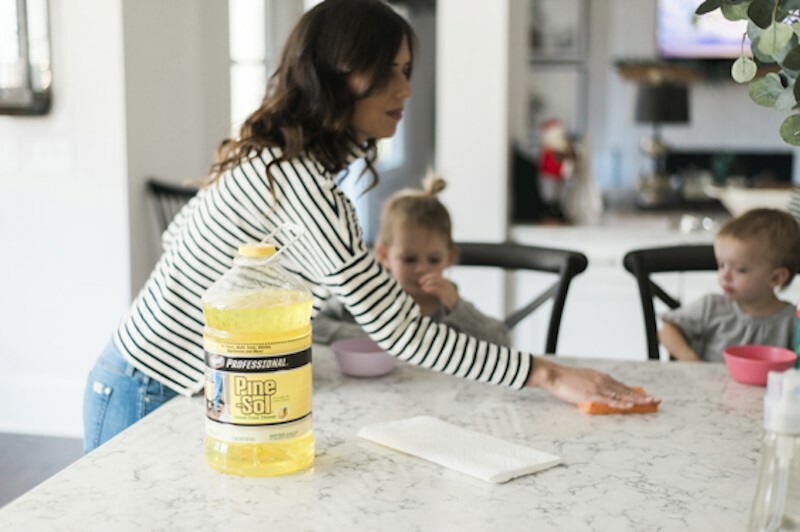 Natalie made the perfect cleaning list for 2019 with a few helpful tips that can come handy to stay on top of your cleaning schedule with the help of only two products: Pine-Sol Original Multi-Surface Cleaner and Clorox Regular Concentrated Liquid Bleach. 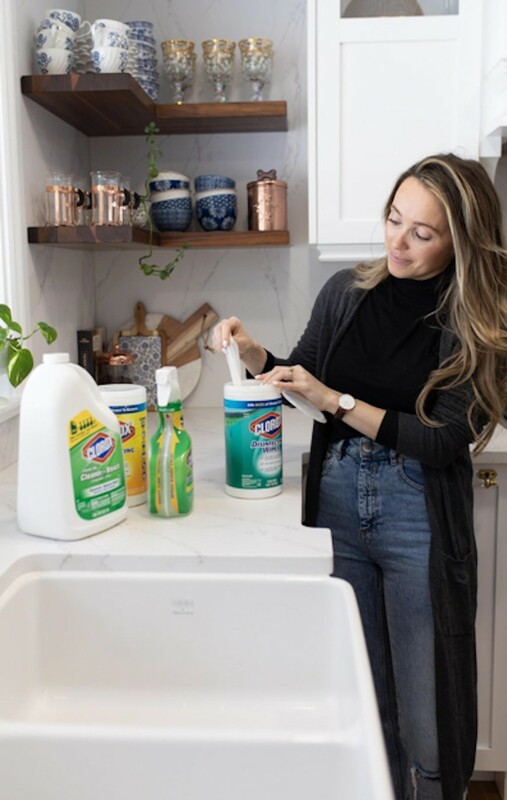 Mom Crush Monday’s Destiney Green shares her three favorite cleaning tips to disinfect the home with Clorox cleaning products. With the help of Clorox Clean-Up All-Purpose Cleaner with Bleach Spray and Clorox Disinfecting Wipes, Destiney is able to say bye to germs around her home. Check out how she is able to make cleaning look flawless here on her blog. As kids start going back to school during the flu season, they are sure to bring back germs from school into the home. 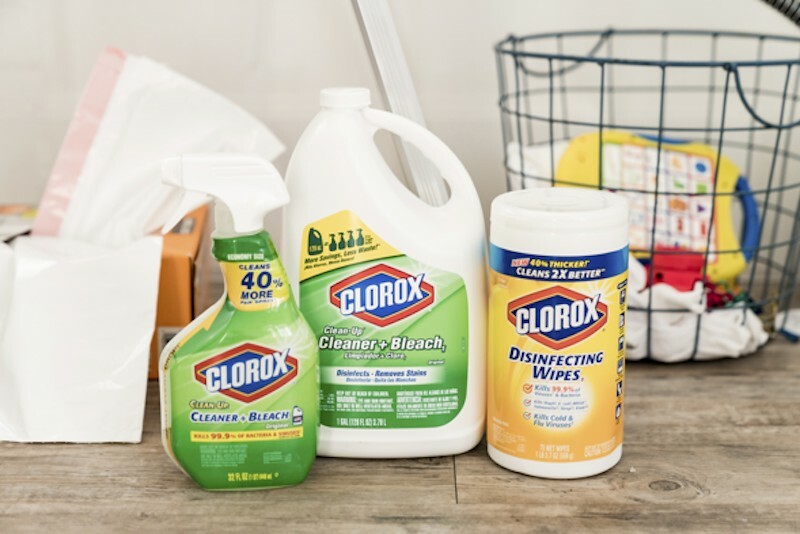 Amber Mamian from Global Munchkins suggests a few tips to prevent germs from entering the home this season with the help of Clorox. Using the Clorox Disinfecting Wipes and the Clorox Toilet Bowl Cleaner, you are sure to keep your kids healthy this flu season! Read more on Amber’s post about her top three tips for keeping your family happy and healthy. Meghan Basinger does not want to worry about illnesses rolling around in her home this year! Using the Pine-Sol Multi-Surface Cleaner, Meghan has found it to be the best solution to keeping her home germ-free. Take a look at how she fights against germs during the cold & flu season. 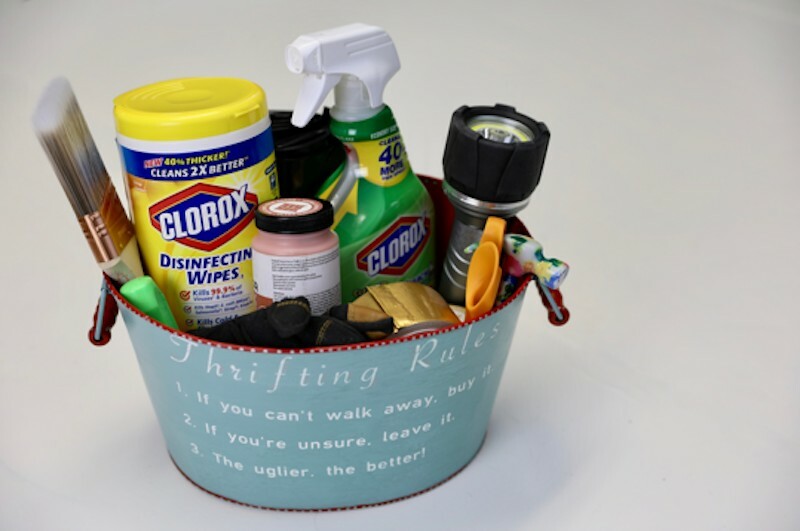 Brooke Ulrich from All Things Thrifty created a thoughtful gift for teachers using the Clorox Disinfecting Wipes. As a result, she made a DIY Magnetic Letterboard with a useful with a useful storage box to help her son’s teacher keep their classroom a germ-free space for all. Go check out the rest of Brooke’s post to see how she was able to turn fighting against a cold into a great gift for your kids’ teachers. With the New Year in full swing, Ashley Marshall from Mommy Week recommends a deep-clean of the home to fight off germs around the house. 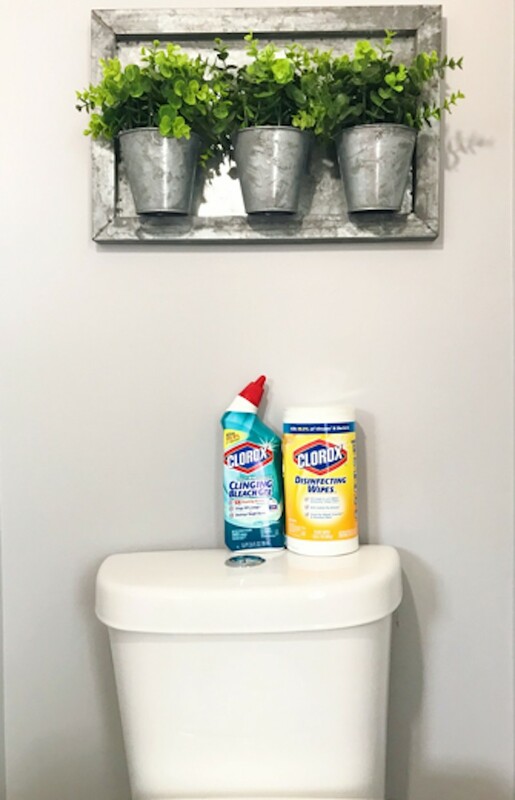 Providing fast and effective results, Clorox Disinfecting Wipes and the Clorox Toilet Bowl Cleaner are a must-have on her list to make sure you can disinfect your home properly this year. Read more of Ashley’s blog post to see her best New Year cleaning routine. For Erin Spain and many other moms out there, “living in a house full of boys is like living in a germ factory”. As a result, she needs the right products to rid her home of germs and keep the space a healthy place for the family. Using Clorox Disinfecting Wipes and Clorox All Purpose Cleaner with Bleach, Erin has been able to accomplish a healthy, germ-free clean around the house. You can read more of Erin’s best tips and tricks for how to keep a clean house for her boys here on her blog post. For Roxanne West of Bonjour Bliss, the cold & flu season is her least favorite time of year and it’s hard for her family to hide from those viruses. When it comes to disinfecting and wiping out those flu germs, Roxanne trusts the Clorox Disinfecting Wipes along with the All-Purpose Bleach Spray Cleaner and the Bleach Refill to keep her family safe. Read more on how her family gets rid of the nasty germs to start the year off right. Find more cleaning tips for cold and flu season on our blog. 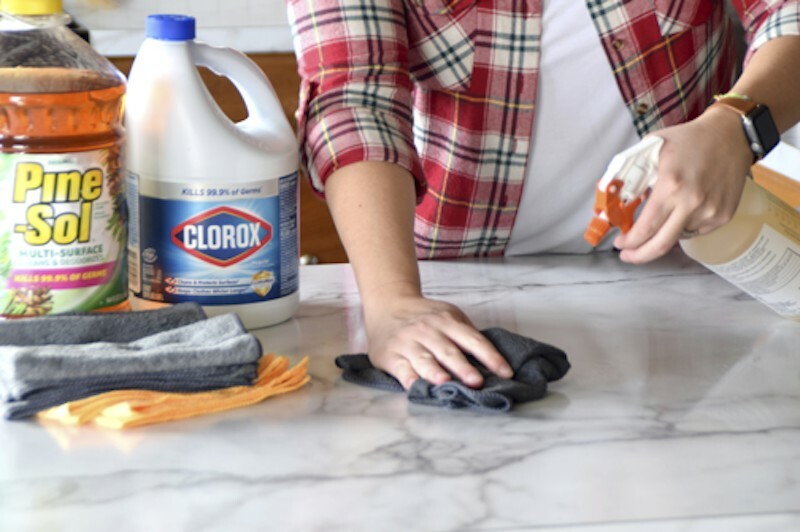 The post Staying Germ-Free with Clorox: A Round Up appeared first on The Home Depot Blog.